We organized our first cycling tours in 2013. Since then, we have continually built on our expertise in providing our clients the best cycling experience possible. Specialists in our domain, we create tailor-made cycling holidays throughout the Pyrenees, Basque Country, Burgundy, Alps and beyond. 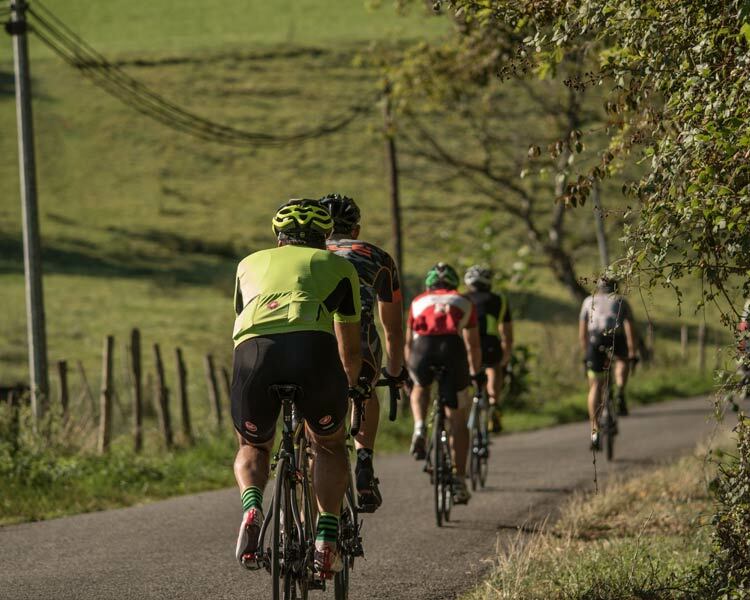 If you want to create your own corporate ride, cycling the Raid Pyrenees or discovering the most famous Michelin star restaurants in the Basque Country, come to us to discuss about it. We’ll put our passion and knowledge to work for you in organizing that upcoming vacation, or add a little spice to a corporate or team building event with Bike Basque. Our goal is to craft a cycling adventure customized to your specific needs, desires, and skill level. We select only the best hotels, restaurants and bicycle friendly routes through breathtaking landscapes to make your experience unforgettable. Interested in booking a corporate or team building event, or designing a personalized cycling tour? Please, write to us at x.lopez@bikebasque.co.uk and tell us what you consider to be your perfect cycling holiday, and we will tell you what we can to make that dream a reality.